While Barack Obama is busy gutting the U.S. nuclear arsenal, Russia and China are rapidly preparing for the day when they will nuke the United States. To most Americans, it sounds very strange to hear that Russia and China are concerned about nuclear war. After all, isn’t the Cold War over? Isn’t that what politicians from both major political parties keep telling us? Unfortunately, the truth is that Russia and China both consider the United States to be their number one geopolitical threat, and both nations have been systematically strengthening and updating their strategic forces. At the end of last month, Russia held a large-scale military drill that involved the launch of four nuclear missiles, and the Chinese government released a major report for the public which included maps showing what would happen to major U.S. cities in the event of a nuclear attack by Chinese submarines. Obama may blindly believe that wishful thinking and unilateral disarmament will keep the United States safe, but Russia and China are taking a much different path. 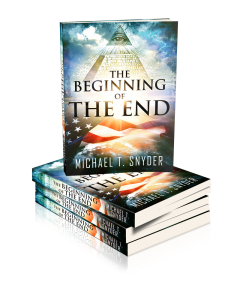 Both of them believe that a military conflict with the United States in the future is quite likely, and they are rapidly preparing for that eventuality. Russian strategic forces carried out a large-scale surprise military drill on Wednesday, launching four nuclear missiles that were closely monitored by U.S. intelligence agencies, U.S. officials said. The drill began around 9:00 am ET and included the test launch of two land-based intercontinental ballistic missiles (ICBMs) and two submarine-launched ballistic missiles (SLBMs). But this was far from an isolated incident. In fact, it has been reported that Russian missile forces will hold more than 200 drills during the second half of 2013. Russia is developing several new missiles, including a weapon U.S. intelligence agencies have assessed as a covert intermediate-range nuclear missile called the RS-26 that is being developed and tested in apparent violation of the 1987 Intermediate-range Nuclear Forces Treaty. The Russian government has denied the RS-26 violates the INF treaty and claims it is a new ICBM, which some arms compliance experts say is a violation of the 2010 New START treaty. Russia is also developing a new submarine-launched ballistic missile and a new class of missile submarines. The Borey Class submarine, dubbed Vladimir Monomakh, has a next generation nuclear reactor, can dive deeper than 1,200 feet, and carries up to 20 nuclear intercontinental ballistic missiles (ICBM). These subs have the capability of approaching the coastline of the United States without us ever even knowing that they were there. Most Americans do not realize this. Most Americans also do not realize that Russia has more spies inside the United States today than it did at any point during the Cold War. Russia is more of a threat to the United States today than it ever has been before, but the American people are completely and totally oblivious to this. Meanwhile, China is publicly bragging about what their nuclear submarines could do to us. 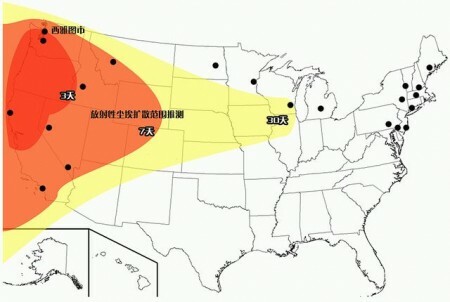 Late last month, the Chinese government released a report which included maps which showed the projected results of a nuclear strike on major U.S. cities. This report was heavily covered by government-controlled media outlets in China such as China Central TV, the People’s Daily, the Global Times, the PLA Daily and China Youth Daily. China’s sub fleet is reportedly the world’s second-largest, with about 70 vessels. About 10 are nuclear-powered, and four or more of those are nuclear ballistic submarines. In 2010, the Type 094 Jin class entered the service. It is capable of launching 12 to 16 JL-2 missiles with a range of about 8,700 miles, covering much of the continental U.S. with single or multiple independently targetable re-entry vehicle warheads. Do you remember a few years ago when a Chinese submarine fired a test missile from just off the west coast of the United States? The U.S. Navy did not even know that the sub was there. If that missile had been fired directly at Los Angeles, it would have been incinerated long before the U.S. government could ever have responded. You see, the truth is that talking about what China is doing does not fit in with the Obama administration’s “progressive agenda”. Obama has been systematically disarming America, and most Americans do not even realize that it has been happening. Most Americans just continue to believe that we still have a very robust strategic nuclear deterrent. Back in 1967, the U.S. military had more than 31,000 strategic nuclear warheads. The START Treaty that Obama agreed to back in 2010 will limit both the United States and Russia to a maximum of 1,550 deployed strategic nuclear warheads. But that is not nearly enough of a reduction for Obama. After a comprehensive review, I’ve determined that we can ensure the security of America and our allies, and maintain a strong and credible strategic deterrent, while reducing our deployed strategic nuclear weapons by up to one-third. And I intend to seek negotiated cuts with Russia to move beyond Cold War nuclear postures. That would leave us with around 1,000 warheads. And thanks to the various treaties that we have signed, Russia will know where most of those warheads are located. So this makes a scenario in which Russia and China collectively conduct a first strike against the United States much more conceivable. If Russia or China knows exactly where our warheads are, it would be very easy to take most of them out in less than 10 minutes with a submarine-based first strike. Of course most Americans never even think about such things anymore, and our politicians certainly are not talking about them. But Russia and China are thinking about these things, and they are rapidly preparing for the day when war comes and they choose to nuke us before we nuke them.